Beacon Bay is a suburb in the northern reaches of East London, a friendly little city in the Eastern Cape. Beacon Bay is not just any suburb though. It is known as one of the prettiest and friendliest suburbs in the whole of East London - which is really saying something since East London is a decidedly friendly place. East London lies just off the N2 highway, north of Port Elizabeth and is commonly understood to be the gateway to the old Transkei - a poverty-stricken but beautiful and culturally rich rural area which was designated as a Bantustan during the Apartheid era. East London is small, but like many urban areas is continuously developing and spreading itself out. Beacon Bay is a suburb in the north of the city which didn't exist when East London initially took off. The suburb is located between the Nahoon River and the Quinera River and is nearby the suburbs of Nahoon and Bunkers Hill. As suburbs go, it is pretty self-sufficient with a number of shopping malls, business parks and accommodation establishments. It is close to the lovely beaches of East London and is surrounded by the lush greenery and coastal dunes which are iconic of this part of the coast. 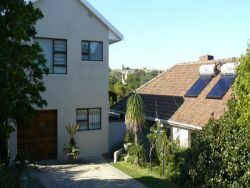 Beacon Bay is a popular residential area because of its large properties and leafy streets. In fact, it is often referred to as East London's 'Garden Town', owing to the large, flowery gardens and abundance of trees. Furthermore, given East London's small size, most things are within an easy distance, including the East London Coast Nature Reserve with its boardwalk and great views of the Indian Ocean. A quick look at our website will give you the information you need to make your choice. 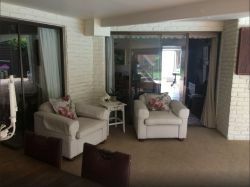 You will find reviews and you will also be able to compare prices and find wonderfully affordable accommodation in Beacon Bay. Are you planning the perfect getaway but have not yet found your ideal Beacon Bay accommodation? By using our easy website, you can find great accommodation of all types, whether it is a cosy bed and breakfast or a comfortable lodge. We have thousands of easy to find listings for self-catering facilities, holiday homes, guest houses and hotels as well as backpackers, chalets, caravan facilities, villas and apartments, giving you a wide variety of options when it comes to your accommodation in Beacon Bay. To help you find the right place to stay, we have a number of tools that you can use, including a map. This will help you to pin point exactly where you will be staying and it will show you the accommodation facilities that are closest to where you will be. Regardless of the reason for your visit to Beacon Bay, we can guarantee that you will find the type of accommodation you are looking for. But reviews for Beacon Bay accommodation is not the only information you will find. Want to know if your Beacon Bay accommodation is pet-friendly or allows smoking? All of that information is included on the listings page. You will also be able to find which activities are on offer and the sort of amenities included with each room. All of this information will help you to make an informed decision before you make any payments to, giving you more peace of mind about your choice. 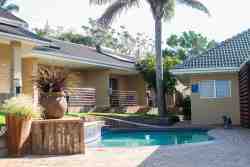 We include all of the contact details of the self-catering accommodation, holiday homes, guest houses and hotels as well as backpackers, chalets, caravan facilities, villas and apartments in Beacon Bay which are featured on this website, so you also have the option of getting directly in touch with the place. 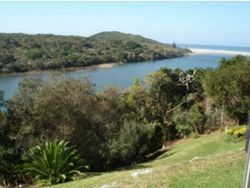 Regardless of where you are staying, we feature Beacon Bay accommodation in that area of the province. You have options of Beacon Bay guest houses, lodges and bed and breakfasts, among others, ranging from your more affordable, lower prices to your more luxurious options. So, you are not visiting for a holiday but rather for business and all you need is a place to stay for a night or two? The bed and breakfast options, as well as the lodges, are generally preferred by business people and you will find all types, from your more luxurious lodges to your simple, self-catering bed and breakfast. Each will give you a safe roof over your head while you are in the province. 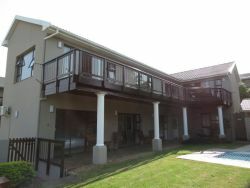 Beacon Bay accommodation is not only affordable but well situated. If you are doing business in this area, this is a great accommodation choice. Spending more than a few days in the province? Perhaps you are indulging in a tour of the region and you are looking for a few places to stay? 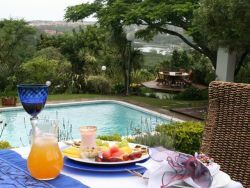 Browsing through our listed self-catering accommodation, holiday homes, guest houses and hotels as well as backpackers, chalets, caravan facilities, villas and apartments in Beacon Bay will give you all of the information you need to make your selection. And once you have found the ideal place to stay, you can either request a quote or make your booking directly on this website. Sleeping-OUT.co.za is designed to make finding and booking accommodation in Beacon Bay easier than your traditional methods of sourcing a place to stay! 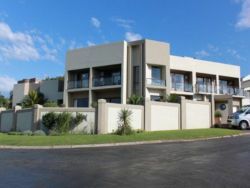 We include some great accommodation special deals in and around Beacon Bay. 28 reviews of Beacon Bay Accommodation. I liked the area. East London in general is very safe, so as a lady traveling on my own I felt comfortable walking to the shops. We enjoyed Beacon Bay. 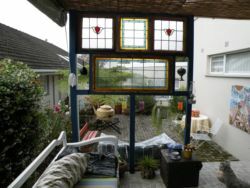 It was quiet, clean and a very pretty place and we felt very safe there. 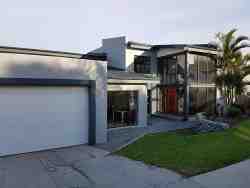 Good, upmarket area. Will stay there again.